Just like it is necessary for businesses to grow, it is important for charities and non-profit organizations to constantly grow to do a better job than that they are already doing. 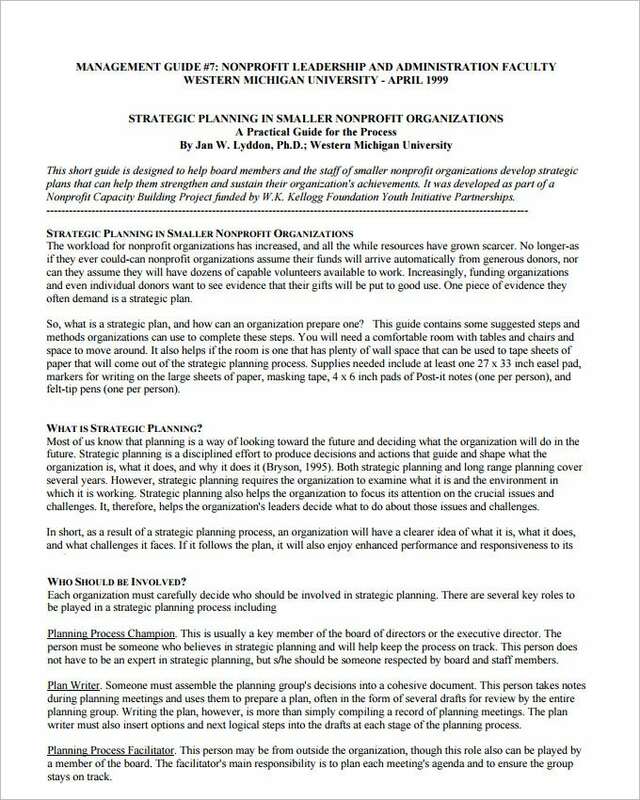 It is this, that calls for strategic planning for non-profit organizations. 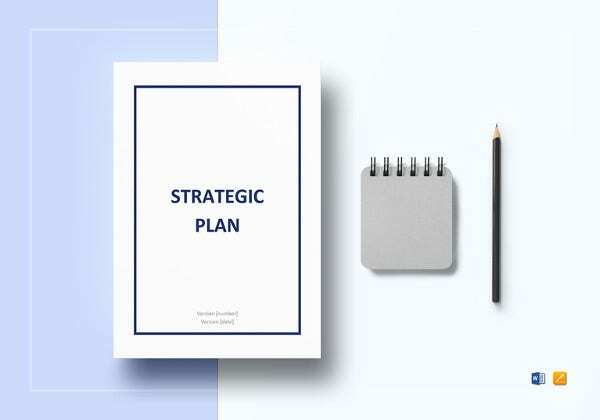 Non-profit strategic plan template is a plan that foundations and charity organizations often form so that they can better themselves by making strategies to attain goals that they set for themselves. 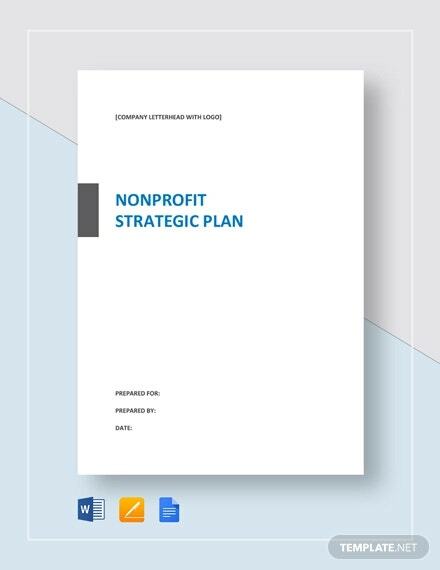 Most foundations rely upon non-profit strategic plans to run their organizations. 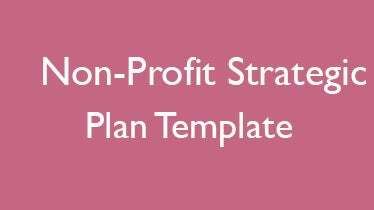 Before you download one of the sample non-profit strategic plans templates that we have got for free, you should know what a plan such as that is usually made up of. 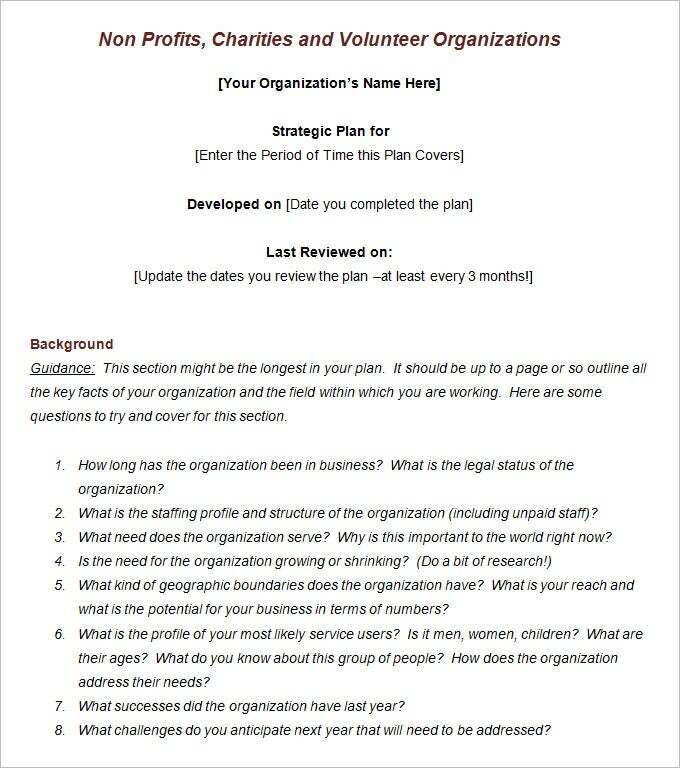 Here are all the components of a non-profit strategic plan listed out. All the details of the charity work and the funds of the non-profit organization are mentioned. A list of goals that are to be achieved within a certain time frame are made. The budget and the work to be done are chalked out. A plan is then mad accordingly, that will help with the non-profit organization reach its goals. 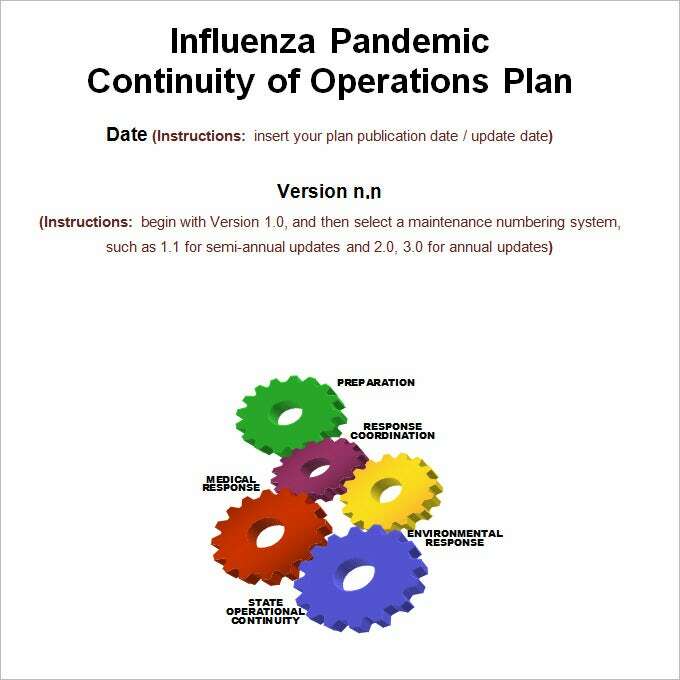 See More: Business Continuity Plan Templates, Annual Marketing Plan Templates If you have any DMCA issues on this post, please contact us!